A slow leak in your heating, ventilation and air conditioning (HVAC) unit can cause destructive water damage that may take weeks or even months to notice. HVAC units can leak as a result of neglect, improper maintenance or a malfunctioning component in the system. The risks associated with an HVAC leak are costly damage to the floor, walls, and ceiling of your home or office. Commonly, HVAC leaks occur with a blockage within the system’s drainage mechanism that leads to a run-off of accumulated water. There are many different culprits that can cause your HVAC unit to become compromised, causing a leak. In most cases, the property owners are completely unaware of the problem until it’s too late. At the first sign of damage, contact a professional water damage restorage company to find the source of the leak and complete repairs before further expensive damage occurs. Our HVAC related water damage repair experts at Disaster Doctors are on call 24/7 and can be at your door in 60 minutes or less. Located in Salt Lake City, our knowledgeable and friendly professionals proudly serve clients across The Wasatch Front from Lehi to Sandy and Midvale. We will provide you with a free repair estimate and bill directly to your insurance company. Clean-up and water damage repairs should not be delayed to prevent further structural destruction and even a brief delay can result in dangerous mold growth. Ensure your safety and the safety of your family by contacting the professionals at Disaster Doctors to help you assess the damage and perform the necessary clean-up and restoration. Our IICRC trained and certified technicians understand the urgency for immediate action. We will promptly restore your home or business to like-new condition with innovative testing and disaster restoration equipment. Pumping out settled water from the property. Thoroughly drying all surface areas including walls and ceilings. Cleaning & disinfecting the impacted area to prevent potential contamination to other areas. Eliminate and Prevent mildew and mold to ensure it does not reoccur. Dispose of all damaged and contaminated materials including construction materials, furnishings and other items that cannot be restored. Restoration and repair of structural damage, flooring and furnishings. 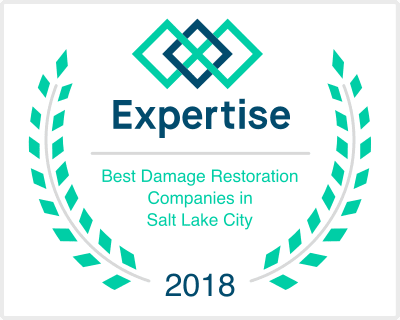 If you are faced with water damage caused by a leaking HVAC, contact Disaster Doctors today at 801-210-1988 for fast, professional water damage repair services in Utah. Our licensed and certified technicians have the experience diligently adhere to IICRC S-500 and S-520 guidelines set forth for our industry to ensure your safety and the safety of your property.